CATHERINE V. HOWARD’s destiny as a language lover, translator, and researcher on endangered languages was probably sealed on her eleventh birthday when she was given The Abecedarian Book, full of illustrated stories about the origins of great big words. Her fate as someone who would suffer from saudades whenever she was far from Brazil unquestionably stemmed from her first sojourn to the Amazon in the 1980s to conduct doctoral fieldwork in cultural and linguistic anthropology. Some say her choice to translate from Portuguese to English was partly influenced by the fact that there would be no market for her translations from Waiwai, an indigenous Carib language. Others say her addiction to the highs and lows of struggling to render erudite Portuguese writing into intelligible English can be blamed on her first book translation, From the Enemy’s Point of View (University of Chicago, 1992). Rumor has it that her career as a socio-environmental translator can be traced back to her irresponsible decision to escape academia, after twelve years of teaching anthropology to bored college students, and to go back to live a more exuberant life in Brazil. She reputedly visited the U.S. just in time for the Great Recession of 2008 to hit, stranding her State-side, where she deals with the pangs of saudades by translating research on environmental and social sustainability through TranslationCraft Services. 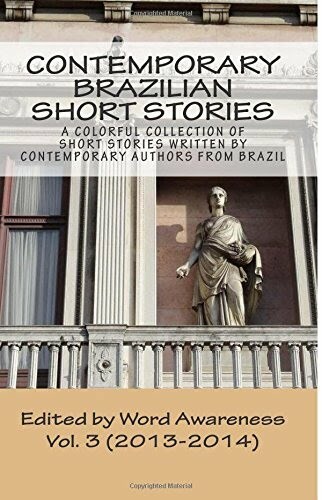 Her participation in Contemporary Brazilian Short Stories is, without a doubt, motivated by the pleasure she takes in working on texts written by verbal artists who care about the nuances, expressiveness, and power of language, and by the hope that the CBSS translations will allow more foreigners to discover the astounding creativity of Brazilian authors.